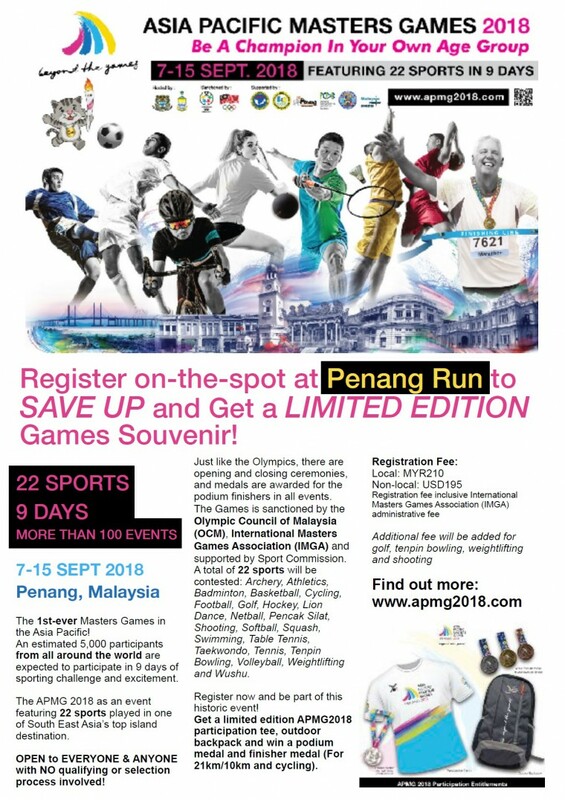 Register on-the-spot at Penang Run 2018 to SAVE UP and Get a LIMITED EDITION Games Souvenir on Penang Asia Pacific Masters Games 2018! The 1st-ever Masters Games in the Asia Pacific! An estimated 5,000 participants from all around the world are expected to participate in 9 days of sporting challenge and excitement. The APMG 2018 as an event featuring 22 sports played in one of Sout East Asia’s top island destination. Open to Everyone & Anyone with NO qualifiying or selection process involved!